My Site is Down or Running Slowly, What Can I Do? 1. First, it's possible that your internet connection might have slowed down or just isn't working properly. Just in case, run the site through Pingdom 3 to 4 times for the most accurate result. If your website is up and working quickly according to Pingdom, the fault probably lies in your connection speed, not the website itself. You can also check if your site is down for everyone or just you with this website! 2. If your website is slow according to Pingdom, check if you have recently added a new plugin or changed the settings on an existing plugin. While their functionality can be very useful, plugins can also cause a lot of trouble! You can read about the pros and cons of plugins here. 3. 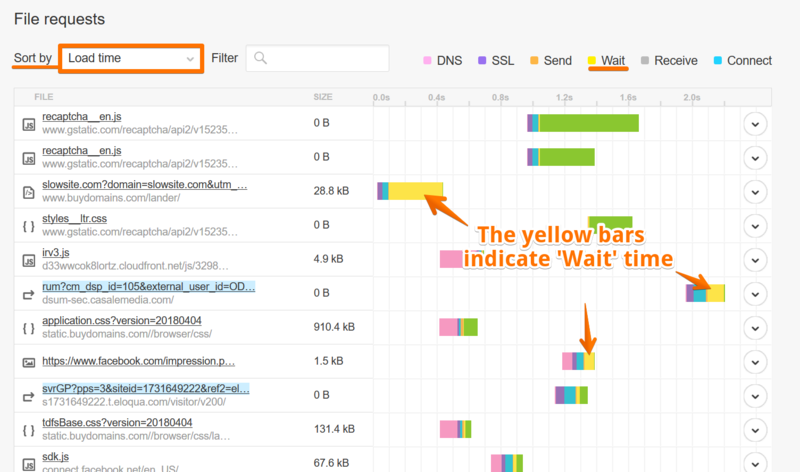 Assuming that your site is up but running slowly and you have not just added or changed a plugin, the next step is to check the 'Waterfall' feature in the Pingdom analysis of your website's performance. If you have toggled the 'Waterfall' results by selecting Sort by Load Time, you should see where the wait time is the slowest. For example, you may have too many gravatars on your blog; gravatars can slow down a site a lot as each image has to be pulled from another server that is already pretty busy and overloaded! You can read more about this here. 4. Assess whether you really need the elements (like plugins or widgets) that are slowing down your site so much. Alternatively, you can find different solutions that are more professionally coded and won't impact your page loading speed as much. 5. If you have an image-heavy website, it should consider using a CDN service to speed up image delivery from different servers, such as Amazon Cloudfront. You can also see how WPX Hosting crushed the competition in Matthew Woodward’s recent test (SPEED, support, load handling and value-for-money shootout here). Need more speed? Learn more about that and our hosting in New Zealand here. Find additional information about our service in Singapore. Read more about the possible causes of a slow or offline website by visiting our WordPress hosting in Australia here (with a CDN end point in Sydney). Check out the specifications that our service in France can offer you.